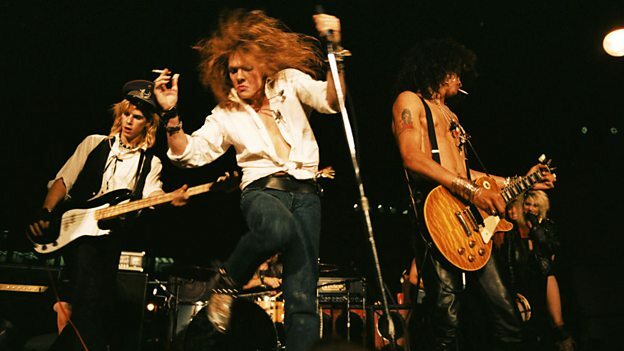 Don’t worry if you haven’t got $2,500 for a ‘Signature VIP Experience’ at the upcoming Guns N’ Roses reunion shows, you’ll still be able to get an intimate view of the band via a new documentary film. Director Jon Brewer’s The Most Dangerous Band In The World: The Story Of Guns N’ Roses is set to premiere on UK channel BBC Four at 10pm on the 5th of February. The film tells the story of GNR’s beginnings, going from playing bars on Sunset Strip to packing out arenas the world over. The documentary includes a host of exclusive interviews and early footage from GNR fan and friend Marc Canter. Interview subjects include former Guns N’ Roses drummers Steven Adler and Matt Sorum, former manager Vicky Hamilton, Slash, Whisky A Go Go owner Mario Maglieri, Hanoi Rocks singer Michael Monroe and the A&R man who originally signed the band, Tom Zutaut. Jon Brewer has previously directed B.B. King movie The Life Of Riley and Nat King Cole biopic Afraid Of The Dark. Guns N’ Roses recently revealed that mainman Axl Rose will reunite with former guitarist Slash and former bassist Duff McKagan for this year’s Coachella festival. The reunited band are also set to play two shows in Las Vegas at the T-Mobile Arena on the 8th and 9th of April. The shows will be the first time that Axl and Slash have appeared on stage together since 1993.